Firstly, can I say how pleased I am that they have started selling Make Up Forever in department stores! I have been using this brand in my kit for years now and absolutely love the finish of their foundations. Make Up Forever Ultra HD was created for the very latest technolgy of the TV & Film industry, it has a super light texture but gives you a medium, buildable coverage. As with all foundations you need to start off with a good primer and what better to use then the Make Up Forever Primer. 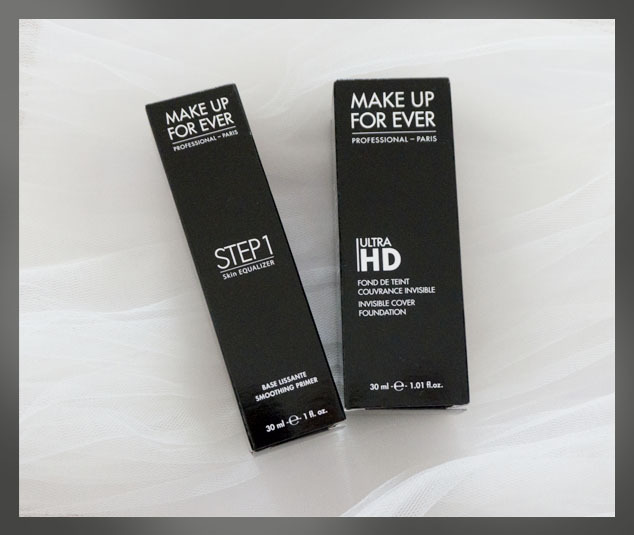 Make Up Forever HD Ultra comes in a 30ml pump bottle. It can be applied with a brush or beauty blender, as this foundation is water based I would recommend using a your beauty blender dry. Step 1 – Moisturise – My fave is Eucerin AquaPorin Hydrating Day Cream. Step 2 – Prime – I have used the Make Up Forever Step 1 Equaliser Smoothing Primer. You only need a small amount, apply lightly concentrating on the T-zone and cheeks with a flat foundation brush. Step 3 – Foundation – I would say 2 pumps will give you a good, medium coverage. If you want a lighter look then 1 pump would be sufficient. I have used a foundation buffer brush to apply as I prefer the finish. The consistency of this foundation is a little runny so I was slightly worried about coverage but don’t let the fool you. This foundation gives you beautiful, fresh looking skin without looking heavy. It is available in a huge variety of colours and works well on all skin tones. 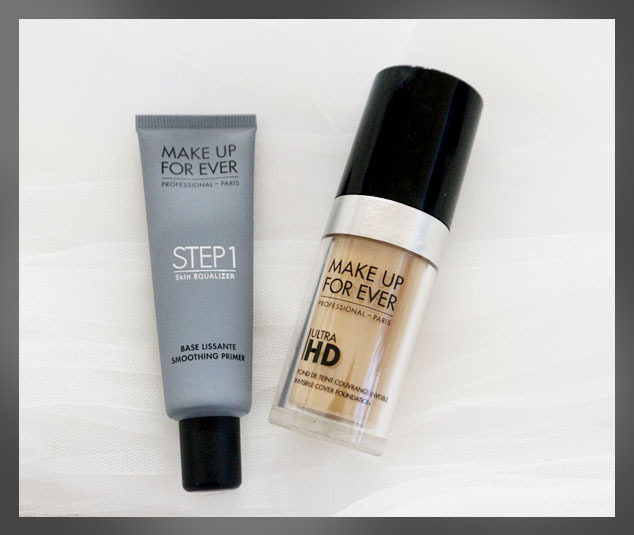 Make Up Forever Ultra HD also works well on all skin combinations but may need a little more powder if your skin is on the oilier side. Customers can buy Make Up Forever from Guru makeup emporium (online & in store) and selected Debenhams stores.